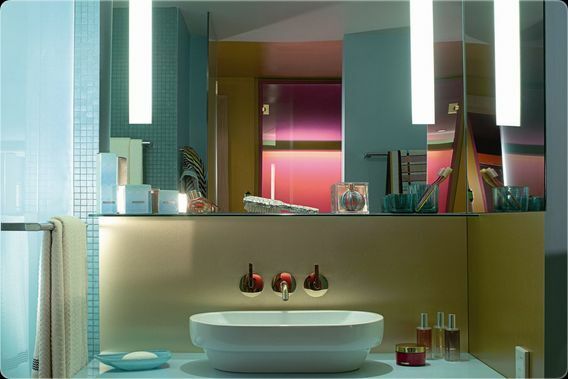 In 2009, Missoni in collaboration with the Rezidor Hotel Group (Belgium based hotel management company), opened its firstly designed interiors the Missoni Hotel in Edinburgh, Scotland. 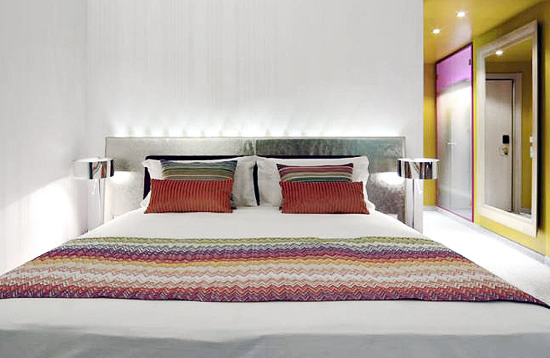 With a total of 136 Missoni rooms, the fashion hotel launch was a success. Hence, the plans to franchise the luxury designer facility in financially booming areas such as Kuwait (set to open in a couple of months)--for the family owned luxury brand--was by far, certainly not a stretch: The fashion house introduced their home collection of the Missoni label over 30 years ago, back in 1981. 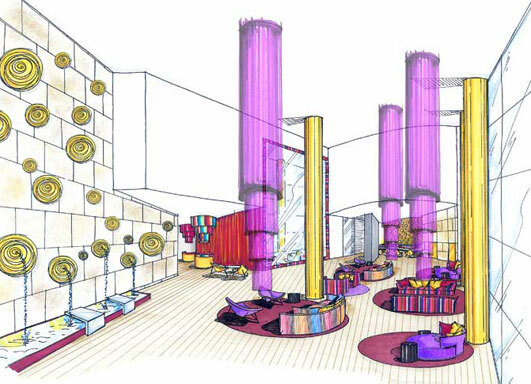 Architects Dino Georgiu & Partners (exterior) and Matteo Thun (interior) worked hand-in-hand with Co-founder Rosita Missoni to mastermind the Missoni Hotel's first landing in the Middle East. The hotel doors are scheduled to open this March of 2011. 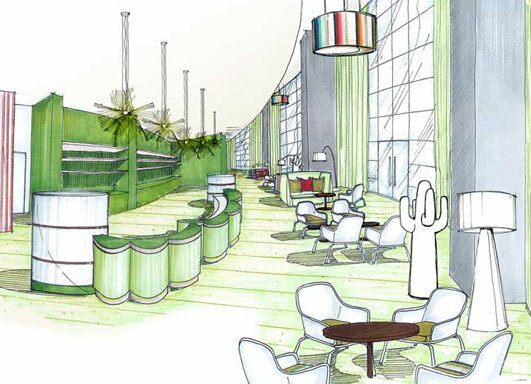 (Renderings of the designer hotel below). 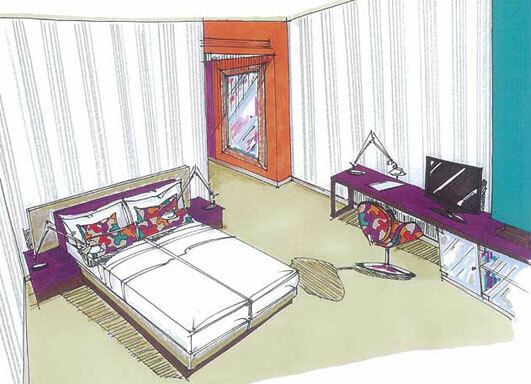 Following Missoni Hotel's opening in Kuwait, the Missoni luxury accommodations will zig-zag its signature patterns into two more runway worthy furnishings: another one in the Middle East will be realized in Jebel Sifah, Oman (bordering the United Arab Emirates), and in Ilha de Cajaiba, Brazil--both are scheduled to be finished by 2012. 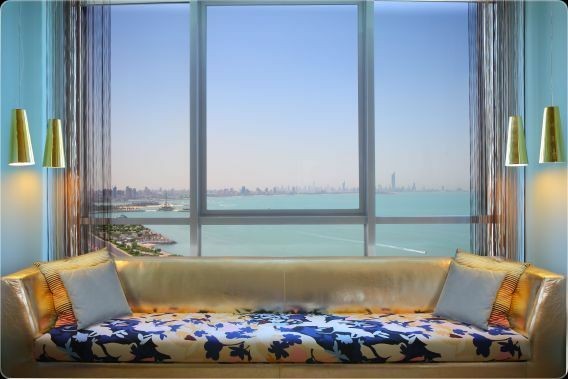 Have a watch at the promotional video for the Missoni Hotel, Kuwait (below), to have a visual feel of what a little Italian couture can buy.